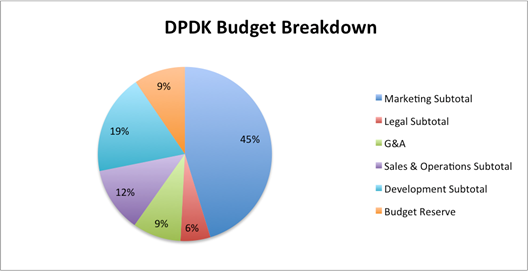 I am quite delinquent in sharing some news of the DPDK Project Governing Board and what the board has been up to since launching the project back in April. Below is a summary of the board members and a list of our activities and major accomplishments. You'll recall that one of the driving factors the community stated that led to the project moving into the Linux Foundation was the ability to raise and manage funds that would then be applied to support events, marketing efforts, and a performance lab. The board has worked hard to create a budget that prioritizes these aspects. They also have created sub-teams that are off driving each of these efforts forward. Our third DPDK Summit Userspace event is next week in Dublin. We had over fifty abstract submittals for talks, a new project record! A community team reviewed all of the abstracts (be sure to thank them for volunteering their time) and has formalized the agenda https://dpdksummit.com/. On the agenda there are sessions where both the Tech Board and Governing Board will share information and also have an open Q&A panel session. I look forward to seeing many of you in Dublin next week. Thanks. DPDK board was established in May 2017, with the first meeting held on May 8th. The board has since convened on May 22nd, June 5th, 19th and July 10th. - Adopted the project charter (link: http://dpdk.org/about/charter). - Formalized the roles of the board members. - Held election for and appointed Silver member representative; George Zhao from Huawei. - Discussed and agreed on activities and necessary budget for first year. - Reviewed the project regression lab working committee's finding and recommendations and agreed to establish and fund the DPDK testing lab at the University of New Hampshire. - Supported DPDK's  co-located mini-summit together with FD.io at OPNFV summit, in Beijing China. - Developed and approved the budget for the first year of operations (May 17 through April 18th). = DPDK Userspace, Dublin - September 26-27, 2017. CFP closed 25 August. Please register!